Need to present your strategy to your manager but can’t step out because the rain just won’t stop? Or want to quickly work with your colleagues to meet a tight deadline, but are also heading to attend an important meeting? With Office Chat’s in-app video conferencing tool, you can keep in touch with your colleagues from wherever you are. All you need to do is login into Office Chat, open a 1-to-1 chat, click on the call icon and get started. You can also share your screen and manage call settings – all from within Office Chat! Making a call in Office Chat is super easy. 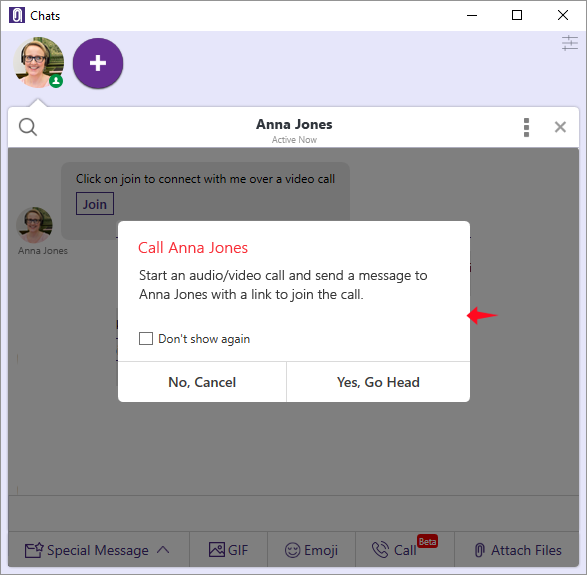 Simply click on the call icon in your chat panel and get connected. Busy with some other important work? You can even choose to accept or decline the calls you receive. With Office Chat, you can connect with colleagues using a voice call. Simply click on the call icon in the chat and have a discussion over the voice call instantly. Need to run your team through your presentation? With Office Chat you can share your screen with your colleagues and explain things much better. Just click on the ‘Start Screen Sharing’ button and select the screen you wish to share. You can choose to share between the whole screen or individual applications. Everyone on the video call can now see your screen. 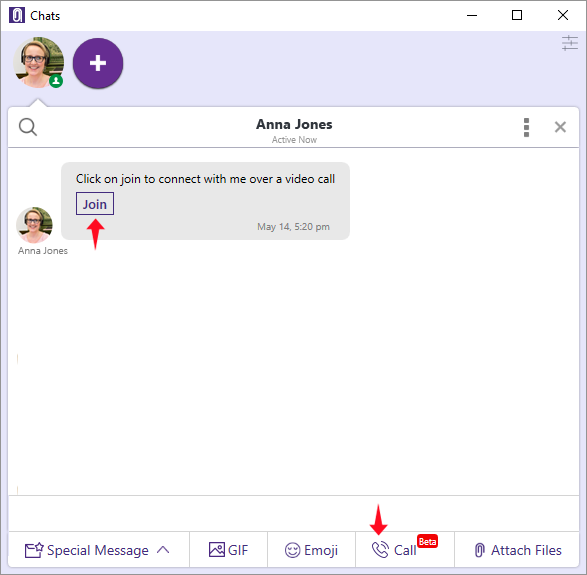 With Office Chat’s video, voice call and screen sharing feature, you don’t have to worry about any technical setup or maintenance. There is no need to no need to download plugins, switch any applications or interrupt your flow in any way. We make sure all Office Chat features run seamlessly all the time. And if you feel like you can help us make Office Chat better, just share your ideas with us and we will try our best to make the Office Chat experience better for you. 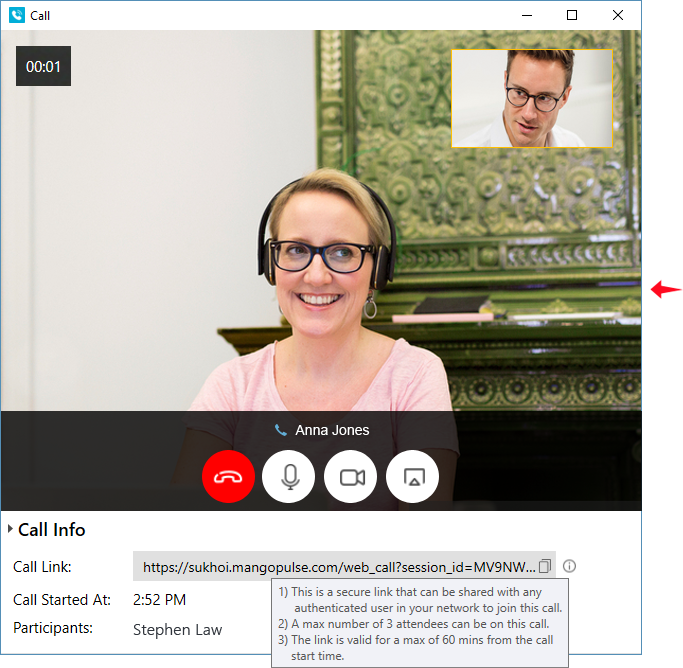 If you drop out of a call, you can join back in immediately by clicking on ‘Join Now’ again. With such an amazing text, video, voice and screensharing feature, why email when you can do it all with Office Chat!